Ayurveda is a system that addresses all aspects of life–the body, mind, digestion and spirit. It recognizes that each of us is unique, that we each respond differently to our environments and that we all possess different strengths and weaknesses. 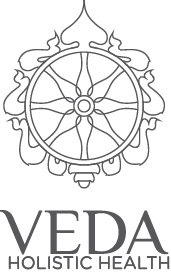 Through insight, understanding and experience, Ayurveda presents a vast wealth of information on the relationships between causes and their effects, both immediate and subtle, for each unique individual. Ayurveda encompasses various techniques for assessing health. The practitioner evaluates symptoms of illness in relation to the origin and cause of an imbalance. After assessing the imbalance, a practitioner will recommend an appropriate treatment plan. Listening to the tone of the voice are employed during an assessment. In some cases, participating in a cleansing program, called panchakarma, is suggested to help the body rid itself of accumulated toxins to gain more benefit from the various suggested measures of treatment.